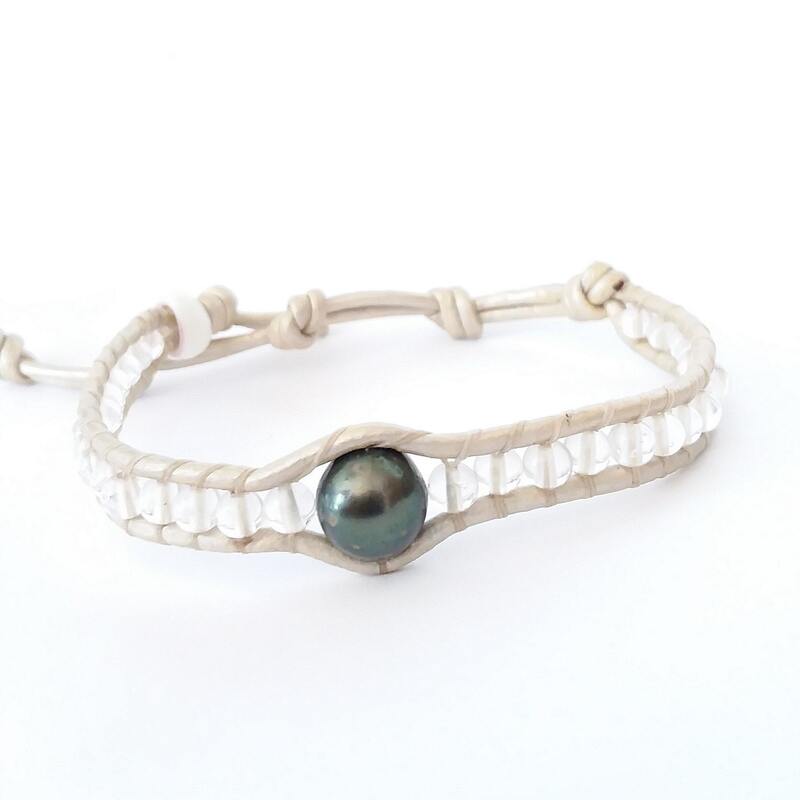 Quartz Crystal beads and one Tahitian pearl on a pearly white leather cord. 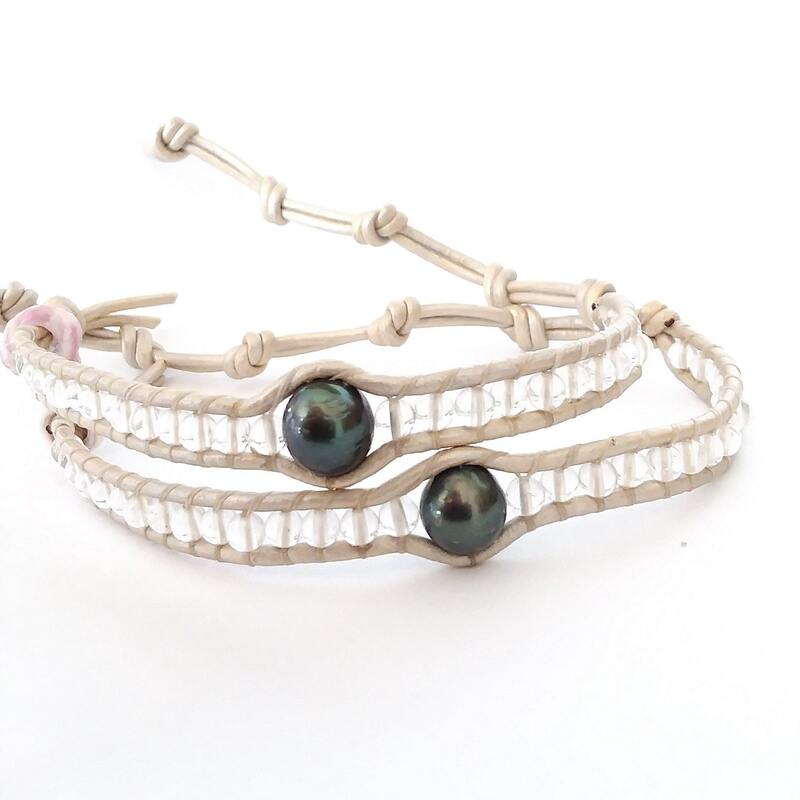 Pretty by itself or with other bracelets for a stacked beach look! 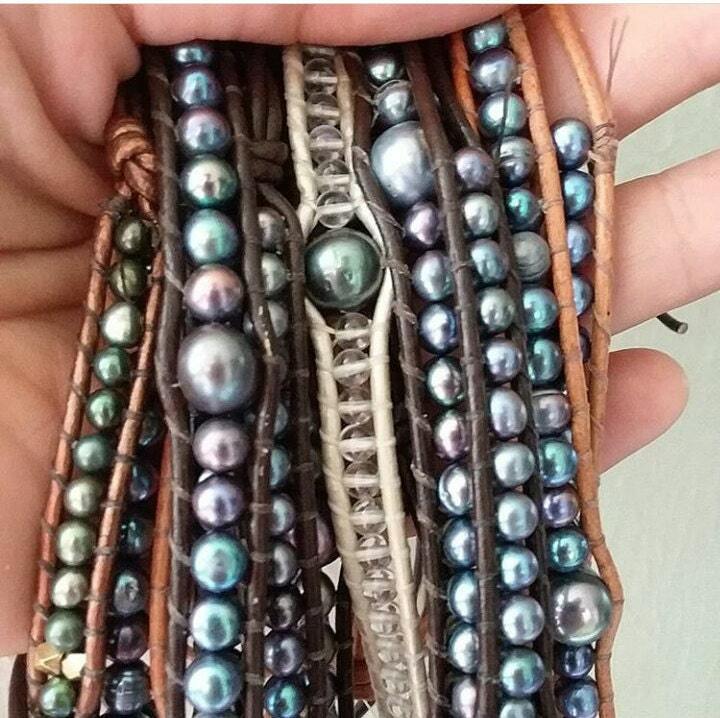 - Maui Puka Shell "button"
The easiest way to secure your bracelet is to insert the leather ends in the adjustable holes first, then guide the puka shell through the same hole. Finish by cutting any excess leather from the adjustable end. Wrap bracelets should always be kept out of water. To extend the life of your bracelet, avoid exposure to lotions, soaps and household chemicals. Always remove before swimming, exercising and cleaning.